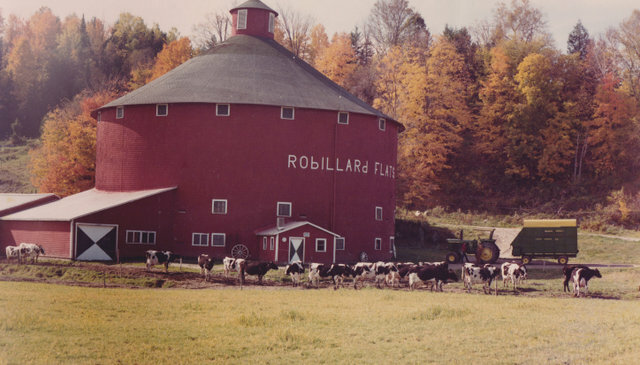 This photo of the Robillard Flats round barn was taken decades ago. 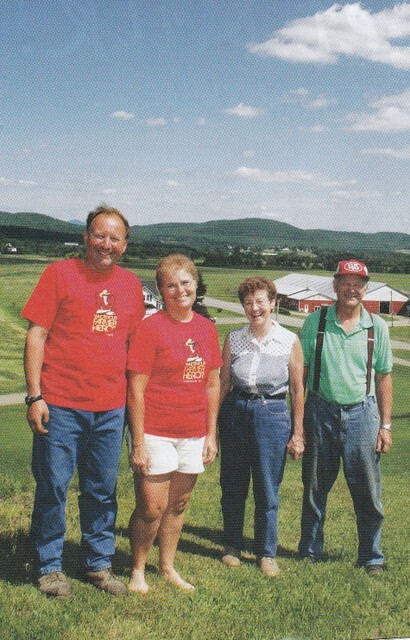 The December issue of Vermont’s Northland Journal will include an article about the history and loss of the Robillard Flats round barn in Irasburg. 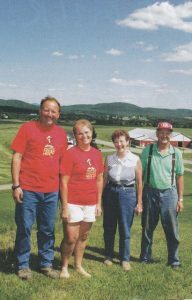 Built in 1908 by George Metcalf, Guy and Helen Robillard bought the farm in 1960 (there were other owners in between) followed by their son and his wife, Bernard and Denise Robillard. The round barn burned on August 23 of this year. 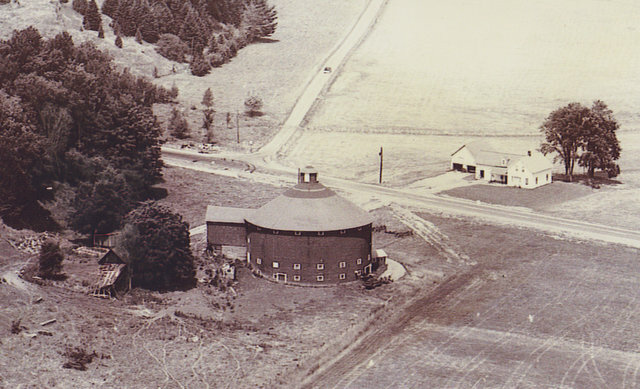 The barn was used for dairying until the end. This is an earlier view of the barn. 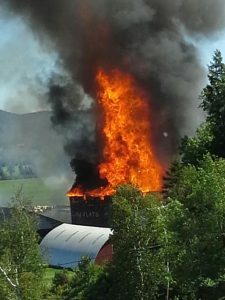 Denise Robillard took this photo as her beloved barn burned on August 23.